I love seeing and trying different foods from around the world. I’m pretty lucky I live in an area where a lot of those different cultures, and their food, are readily available to me. So I’ve decided to start a series of posts dedicated to reviewing, eating, and enjoying snacks from all round the world!! So first stop is a snack from Holland called Stroopwafel. I’d first heard about this wonderful cookie from another blog I frequent called “Eat Your Kimchi”. Apparently they actually sell this as a street food; of course that version is bigger, better, and fresh out of the waffle iron. The store version is still very tasty and quite addicting! I was actually going to post this earlier, but before I could take a picture of it, I had eaten the entire bag in less than a day. Yes, they are that good. So this was my second bag of Stroopwafels that week. 3. 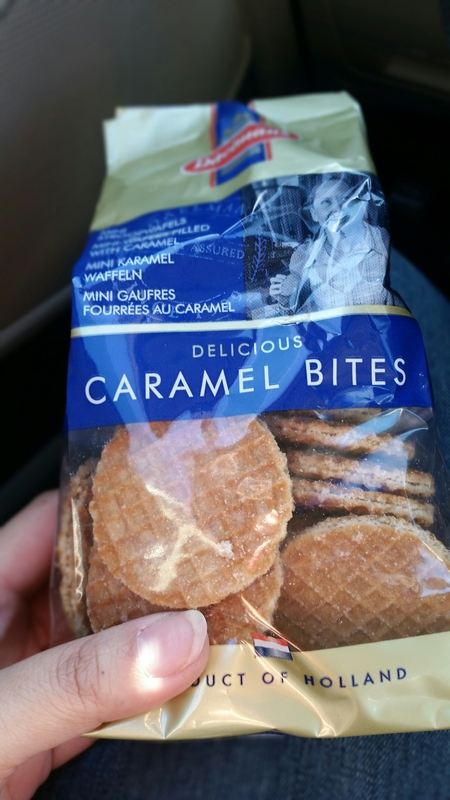 Tastes Like: Caramel sandwiched in between thin crispy waffle cookies. The end result is a sweet cookie that’s a great ratio of chewey/crunchy.